I can't say it enough get the exposure you need by letting us make your marketing and slide show videos for you. 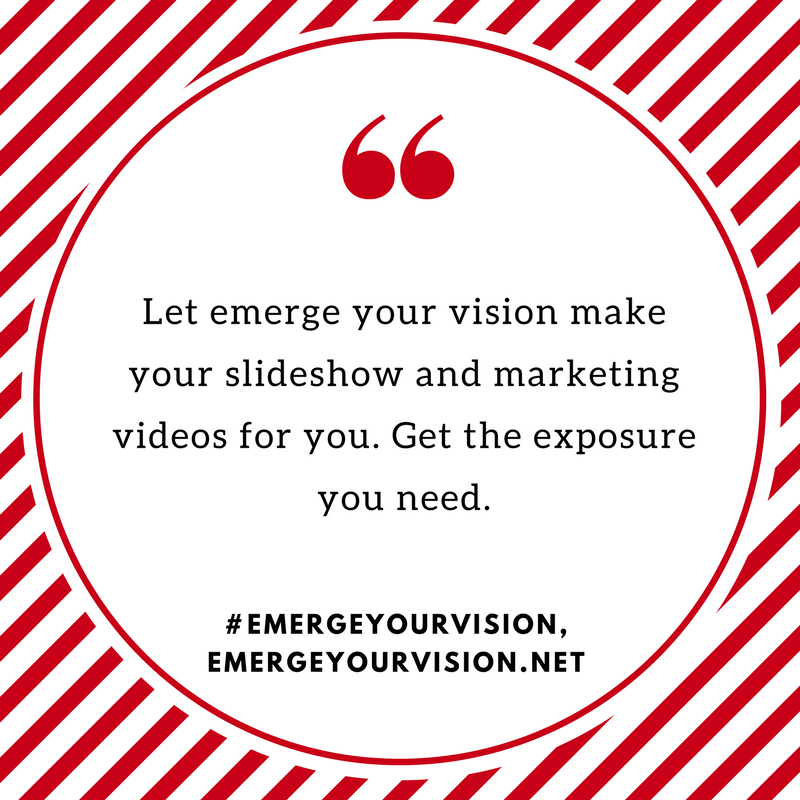 Our email is emergeyourvision@gmail.com. 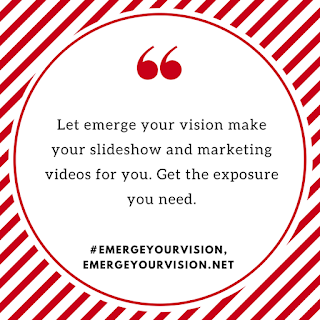 Let emerge your vision know how we can be of service to you. We look forward working with you.